Edit: These tracks were LEAKED. They were not supposed to be online till the 4th of April so enjoy! 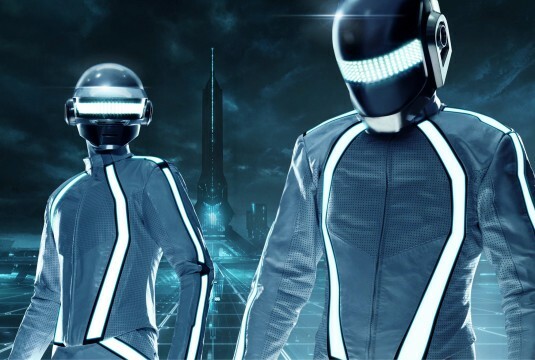 Daft Punk did an amazing soundtrack for the blockbuster movie "Tron". The remixed tracks can be appreciated by even electronic virgin ears and electro addicts alike. The remixed album of the Tron Legacy soundtrack is set to come out April 4th. Be sure to check out a couple tracks by clicking "Read More". 06. Paul Oakenfold – C.L.U. Saw this post and almost shouted for joy! I cannot wait to have this new album! Wow, this stuff isn't half bad, man! Great find! I haven't seen the new movie yet myself (in the middle of the jungle and all), but the old one is still one of my favorites! I'm in love with this OST! hmmmmmm interesting. i think i might like this more than the original soundtrack to be honest. I haven't seen the movie yet, but the soundtrack sounds amazing! they got some nice big names for Tron i see. maybe i'll check it out. Bought the soundtrack as soon as it came out for the movie and loved it. Definitely gonna invest in this one too. I guess I should make it more obvious but this is a remix of all the tracks on the original soundtrack. I heard that Daft Punk wasn't really involved in this remix at all, like they didn't approve of it or something? I don't quite know what to say... this has come as quite the pleasant surprise! Thanks. Adored their cameo in the movie, I was like a kid seeing Santa for the first time gawking up at the screen. THey were god, they still are, and they will be forever! DAFT PUNK! Thanks for this, I saw them once in Melbourne it was unreal!! movie was alright but the best thing was the soundtrack! I definitely want to hear the remixes, I wasn't completely satisfied with the original tron legacy soundtrack. You're such a gentlemen to share these! You've done the world a huge favor by doing this, bless your heart. This is catchy, I haven't seen the new movie yet. Looks freakin' epic bro! Lookin' forward to that Derezzed. There's just something about Daft Punk that always gets me jamming and bouncing... Must be the fact they dress like TRON. Haha. Thanks for the deets though! Good sound. Love Daft Punk. It's true that everything gets leaked these days. This is the first electronica act I ever got into. Appreciation. Awesome, I loved the music in Tron. Sweeet allround track list. Check out my new blog, puzzledyet.blogspot.com if you haven't already! Thanks man! how did you get these illegal tracks? Everything they touch turns to gold. TRON Legacy would've just been shiny eye-candy and flippin' nYOMNYOM EYE CANDY (Olivia Wilde ~drool) without Daft Punk and the soundtrack. Still need to check out the mix and the movie. i like both of the videos that hadn't yet been removed. very good stuff. I'll have to get my hands on this. Wicked post, love Daft Punk! I needed to mention real quick, Nice suits.